On Saturday Barry and I spent the day at Toronto’s Artist Project 2012. 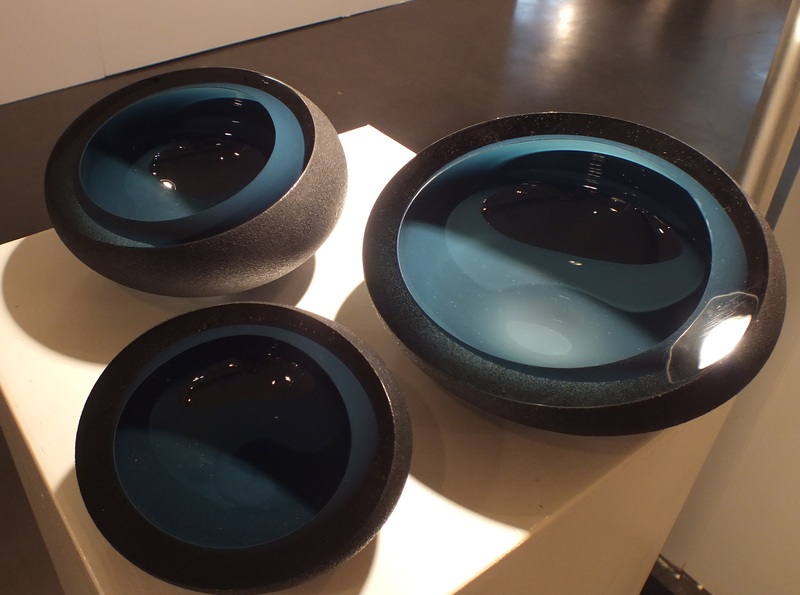 This juried event is the place to be for anyone interested in buying (or just seeing) contemporary Canadian art. The sheer variety of the works is mind boggling – from commonplace to zany, from literal to figurative, from contemplative to frenzied — it’s all there. Of course, it’s also fun to talk to the artists themselves, to get a bit of an understanding of what drives them, what their pieces are about to them, and how they create the art. What I thought I’d do here is highlight a handful of the artists and their works. My criterion for selection is simply that their work interested me for one reason or another — usually because it had a science or nature appeal to it. Eric Tardif is the reason we went to the show. Can you believe these birds! Several years ago we had seen one in a gallery in Toronto. At that moment we decided that we’d eventually own a Tardif bird, once we have the right (bigger) house for it. Then last year we went to visit a friend in Toronto, stepped into his foyer and there was the Eric Tardif bird we had lusted over! So when the show came up this year, our friend invited us to attend and introduced us to Eric (who, by the way, kindly provided our tickets to the show). Brian Barrer does some really neat things with composite photographs. He takes all his own pictures and combines them in unusual juxtaposition. 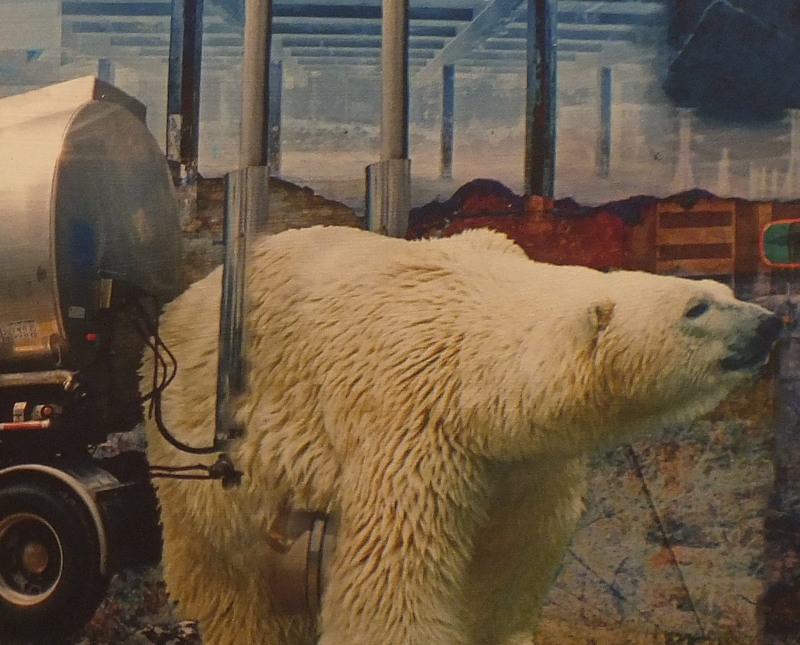 I voted for Brian’s entry for the people’s choice Energy Prize. This award went to the piece that was voted to most impart the feeling or idea of “energy.” While there were many gorgeous sweeping, dancing, flowing pieces that put a positive spin on energy (including an exquisite one by Tardif), I decided to make a point by voting for Brian’s in-your-face ecological message. Harry Enchin also works with composite photographs. 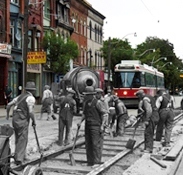 For his Toronto Transformed series, he found historical street photos in the Toronto archives then reproduced the exact same scene in current time. Then he combined the two into an incredibly interesting single photograph. Harry doesn’t have a website; he told me he was concerned about unauthorized use of his photos. But check out this one I found online (full version of the thumbnail image). I asked Harry where the magic happens.. in the darkroom or in Photoshop. He said really it’s about getting the exact duplicate photo – standing in the road, looking at the archive photo on his cellphone, moving inches one way or another, adjusting angles, until it’s an exact match. Sean Galbraith is a photographer and urban planner. 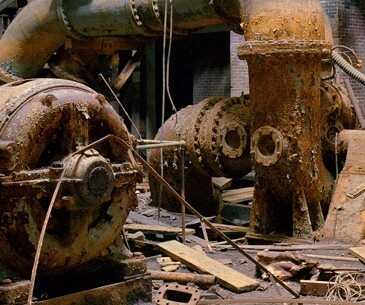 Combining these two interests, one of his projects is photographing abandoned buildings and spaces. Because he works solely in film, his photographs (some of them quite large) are super high resolution– much better than can be done with digital. Here are some that just blew me away. 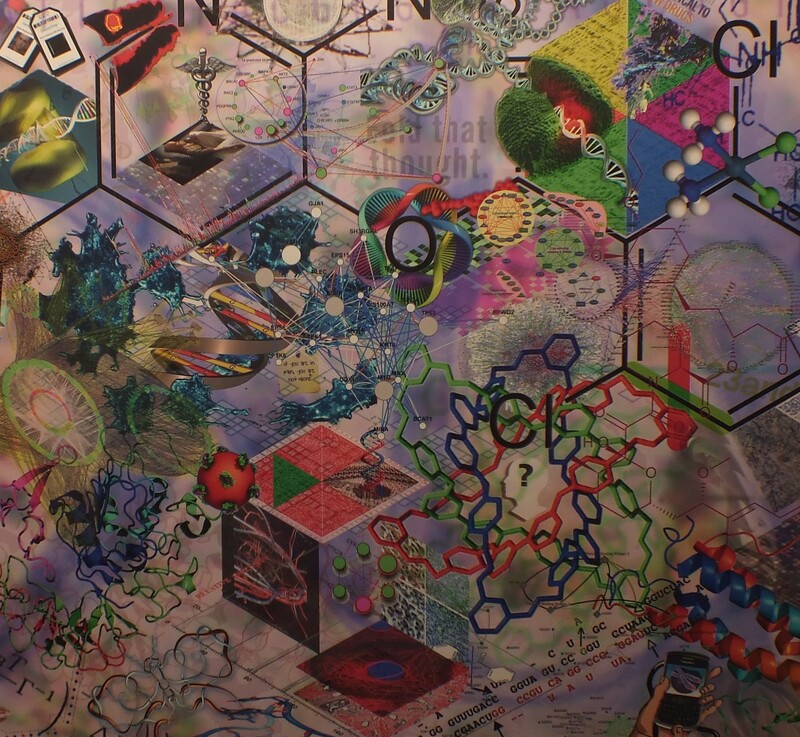 Ron Wild combines art with science (or, perhaps “information” is a better term) into “smArt Maps,” which frankly, I am at a loss to explain, but am somehow intrigued by. In his words (pg now 404), “My ‘smART Map’ collages mash-up and remix up to 100 layers of finely detailed mathematical and scientific imagery.” The image in the thumbnail is from a piece he did in conjunction with a cancer researcher (whose name I failed to write down) to illustrate all the science behind cancer research. Catherine Mills does some interesting things with insects. 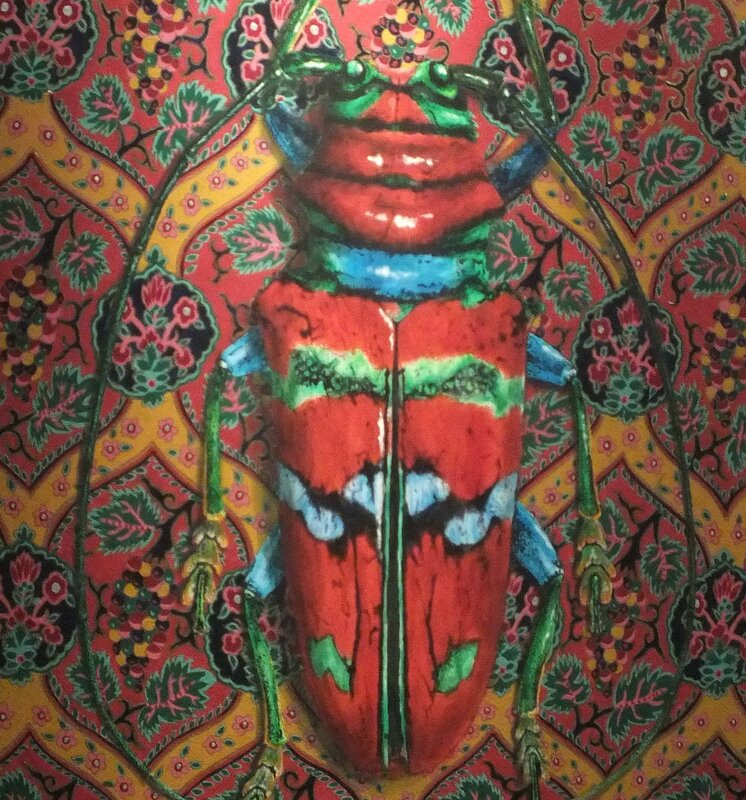 Working from her own collection or photographs, she paints her insects in a way that “accentuates their colours and patterns in a modern decorative context.” Her work is reminiscent of Victorian times when collections of insects (among other things) were ubiquitous in parlours across Britain. ** ATTENTION ARTISTS: I have used thumbnails of your artwork to illustrate this post. I understand the copyright issue. If you want the thumbnail removed, just drop me a line. Thanks for the support Kim, really appreciated, and nice to be included in this company.